What a great location situated between Westlake and Bridgewater Plaza. Two master bedrooms one up and one down. The entry level is well equipped for one level living with two additional bedrooms, family room wired for sound with fireplace, office, and the second large master bedroom. This level features a wall of windows and exits to a large deck across the rear of the home. 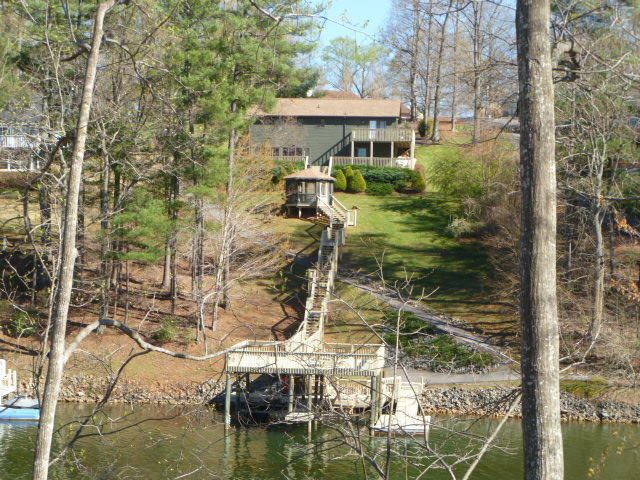 From here walk down to the screened in gazebo or to the dock with party deck. A home and a lifestyle all wrapped up in one.